So this is a solo trip I had not planned at all and which in the beginning was not intended to be a solo trip. 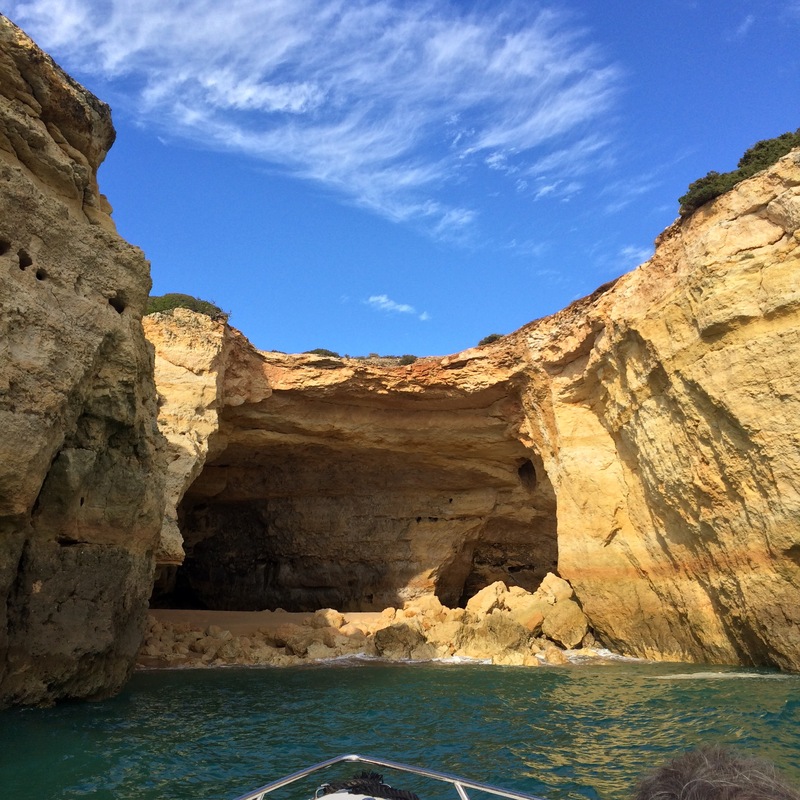 I had never been to Portugal before, and I did not know many Portuguese people so I went in this adventure all blank with no expectations. I booked a flight for 84 Euros from Amsterdam to Faro and I booked the accommodation! The rest I thought I would figure out later. 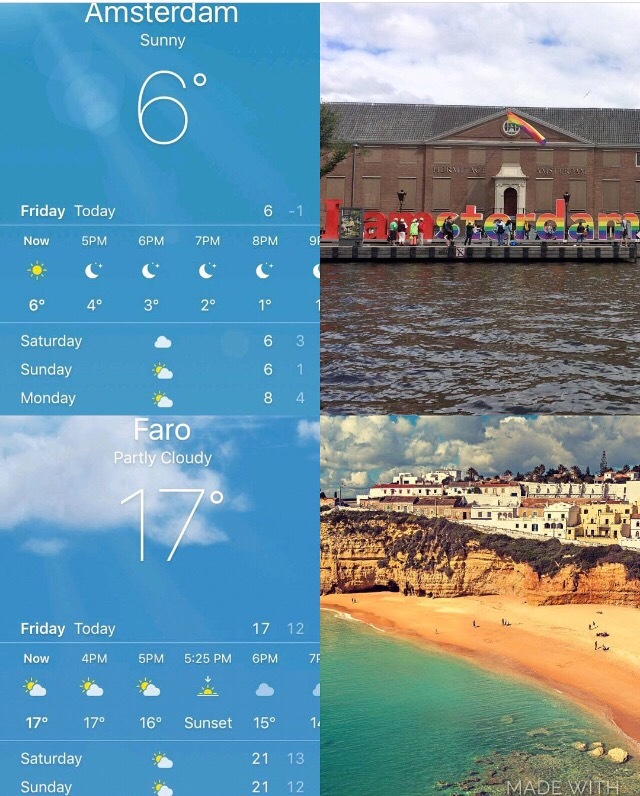 The only things I checked before leaving was a shuttle from the airport to my hostel and the weather in Amsterdam vs. Faro! I took a flight on Friday night to Faro and Monday morning back to Amster dam. Alright so the day came I went to work did whatever I had to do, printed my tickets and left. The flight was booked out every seat was taken. And the whole plane was filled with Dutch and me. I was lucky sitting next to a group of 6 Dutch guys attending university and 3 ladies around 60 years. My flight was a blast even though I was flying by myself I did not feel lonely! The ladies were making fun of everyone in the plane, I could tell and smell that they had been drinking the whole day! They were teasing each other and were enjoying themselves! Then the boys group… talking in a extremely loud voice, laughing out loud, being the focus of the plane. Only talking about fun things they did on previous travels. And then one of the guys managed to pour a whole can of Heineken over his trousers! You can imagine from the front and the back it looked like he pissed in his pants! The whole plane started laughing! The guy went from a ashamed fase to a very funny and “I don’t care” mood! Walking around in his beer pants 5 times from the front to the back to show off his mess to everyone! Once we landed in Faro and I noticed that I forgot to call the company for my shuttle in order to get the confirmation and ask what time I would be picket up. In the arrival hall there was only another shuttle company. So I went to the guy standing at that companies stand and asked if they knew if my ticket was still valid and where I could find the shuttles of directshuttle from greenbuscompany! I also told him that I just tried to call the company but my phone could not get any connection. He was extremely friendly and flirty. Tried to explain me things and then he offered me to call them for me, when he went to the phone his female collegue told him and me that they could not call anyone and I had to figure it out myself.. of boy! It is every time the same thing! Men are more than happy to help me while female start “cat fights”! The guy had a very innocent look, he told me that he was sorry and sent me to the taxis where people from that company were waiting. Once there again the guy checking tickets was checking me out while he looked at the tickets of the group of girls in front of me. When it was my turn he started flirting, asking where I was from, and told me that I chose the right place to stay, that Faro was great and in case I needed anything I should let him know! I said thank you and followed my driver. So what I had expected was a bus full of tourists! What me and 2 other people got was a private driver with a extremely new and fancy Mercedes car. I booked this hostel online on booking.com. The reviews were very good and the price sounded like a joke, 12 Euros per night in a female dorm and breakfast was included. I really had to check this out! I did not have any expectations but I did not expect much for that price. The hostel is in a very old building with beautiful high seelings- it looked like a very old castle to me. It was clean and bathroom and dorm rooms were very modern. The architect made great use of the high seelings- 3 floor bed everywhere, and I was the lucky one sleeping on the top bed. In the common area/living room there are many couches a computer and a piano. People were making music the whole night downstairs in the living room on the piano and upstairs on the terrace. What an energy!! Too bad I was too tired to join the first night! The girl working at the reception helped me this morning with fixing a car to rent! While talking she also told me a lot about herself and the work she is doing. Being a graduate in tourism she was now working at this hostel! She also gave me some nice insiders which I made sure to cover during my 2 days! On my way to Faro center I met a old men around 80 I guess. He was walking his dog and saw me looking around a bit lost! I refused to use a map as I enjoy getting lost! So he started talking to me in Portuguese. I replied in English that I did not speak any Portuguese and he him self repeated that in Portuguese and then continued talking in Portuguese again. This one sided conversation in the middle of the road took 7 minutes! He was describing me things and pointing in directions and explaining a lot of things … and I had no idea what he was talking about! I decided to nod and smile! When he was done talking after 7 minutes I said thank you in English and left ! What a cool guy! I guess he was a lonely man who just felt the urge to talk… so I let him. Whenever you visit Portugal please try those!!! Later in the hostel while I was signing the contract for the car I rented to drive to Albufeira and Lagos, there came a girl asking me if I wanted to drive to Lagos tomorrow and if she could join me sharing the price. The first impression: she is cool! She had this alternative vibe, many tattoos, a travelers look, a piercing and she had an american accent! I didn’t even think about it introduced myself and told her that I would love to travel together! 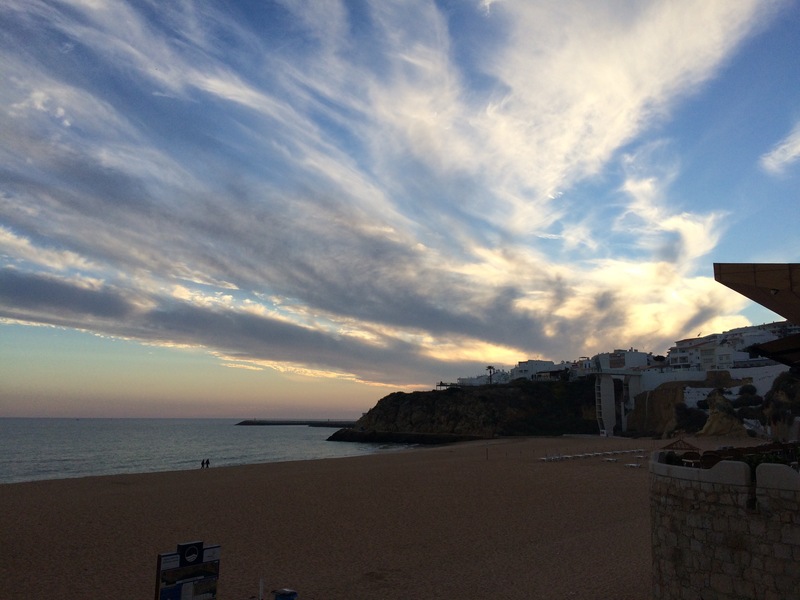 And even on the same day I decided to visit a town called Olhão and a fishing village called Fuseta- asked her if she was interested – and the was! 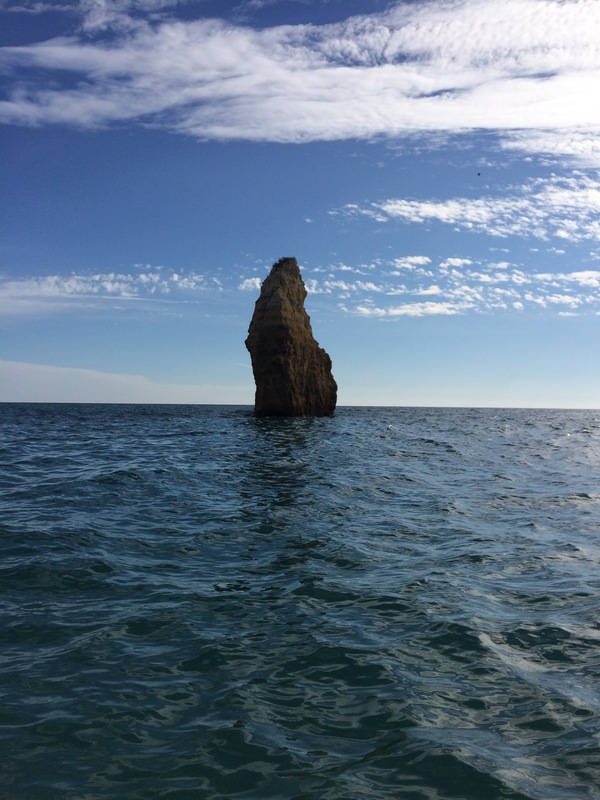 So we went on a afternoon trip to the east of Faro. I was driving and she tried to navigate me with this useless GPS system! Except of this teamwork we also had many common interest which made it even more fun! We talked about alternative medicine, Yoga, India experiences, Vietnam, Cambodia, food and so on! 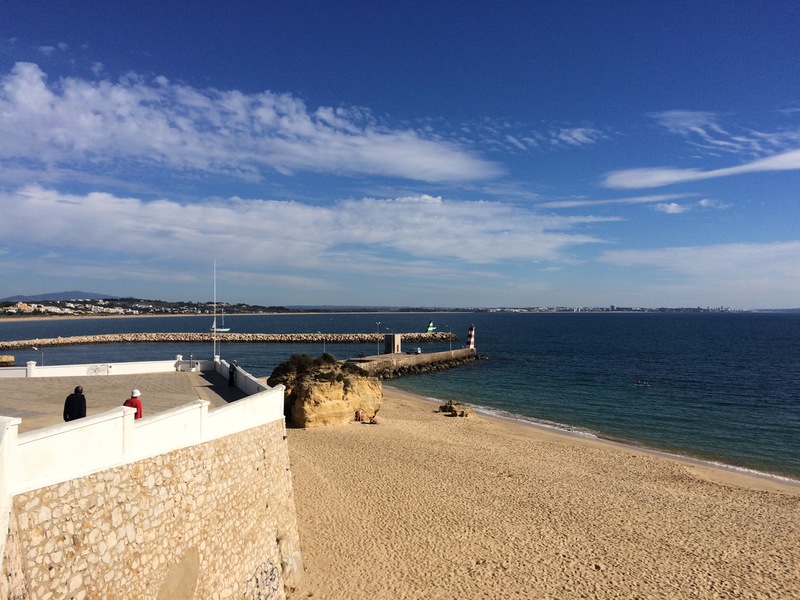 Olhão is a cute town only 10 min driving distance from Faro with a market (for sure on saturdays) and a very nice harbour! 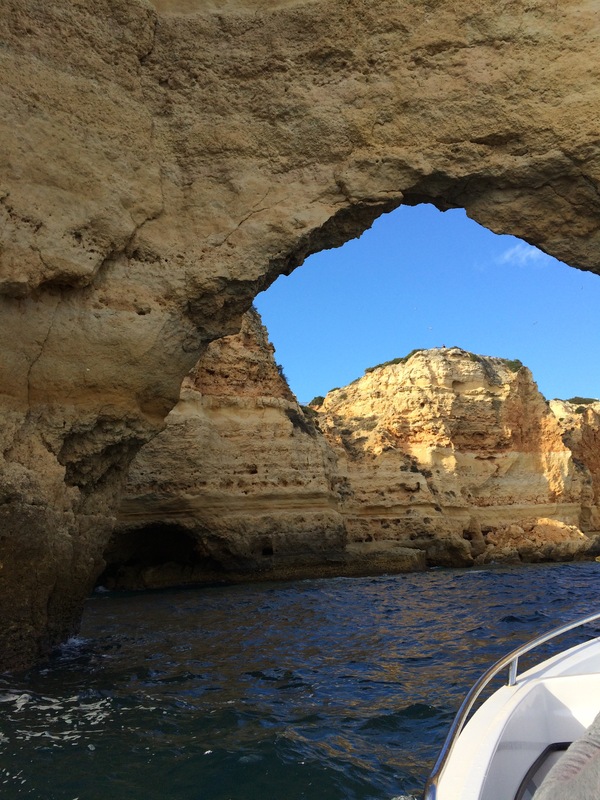 You can book tours to islands for 10-30 euros per person depending on the duration! From there we drove 15 more minutes to this tiny village Fuseta! It is such an idyllic place! 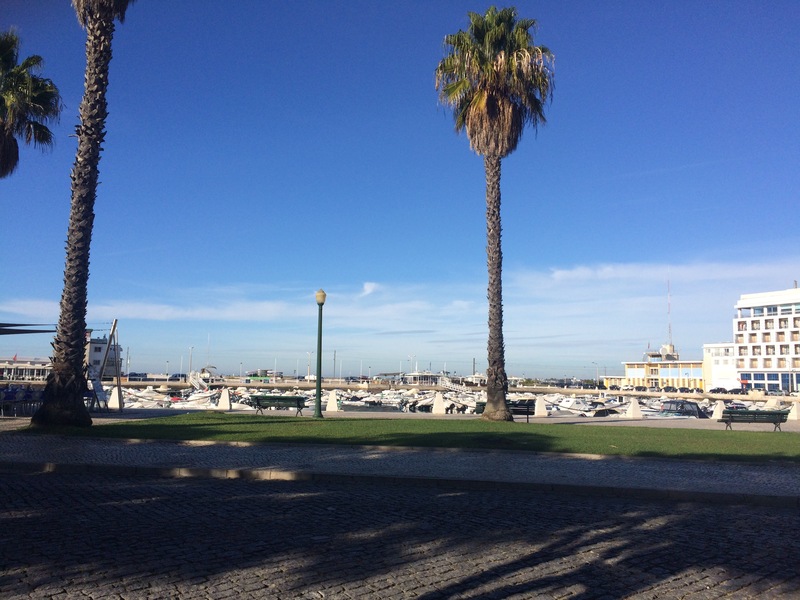 And the the harbour you can eat in one of those small restaurants in R. Gen. Humberto Delgato street! I would definitely advise the fresh fish on the BBQ ! The next day me and my new American friend started this day trip at 9am and were totally freaking out because of the maps.me app navigating us in the weirdest and wrongest streets in Faro. 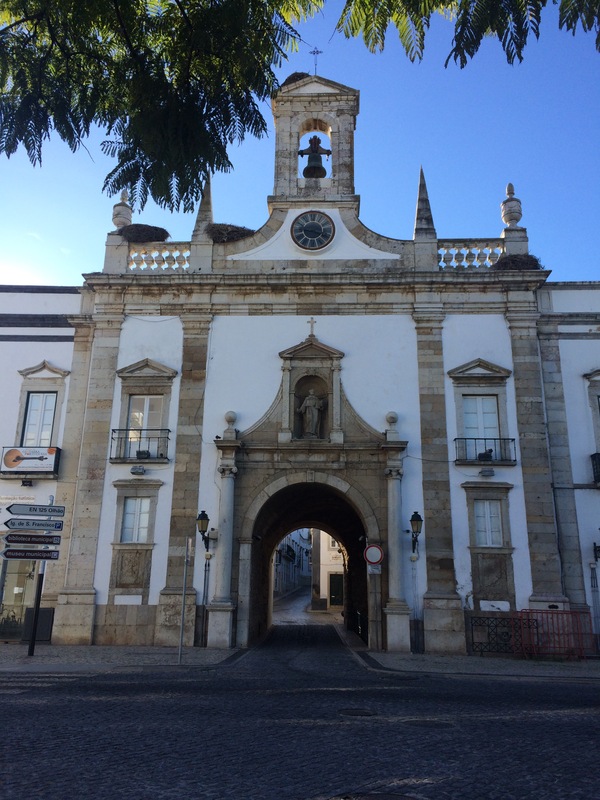 After we figured out how to exit Faro city and find out way to the N125 (not the highway as those have toll), we drove for 1,5 h straight to Lagos. We were having great conversations so I didn’t even notice how long we were actually driving and I didn’t feel exhausted at all. 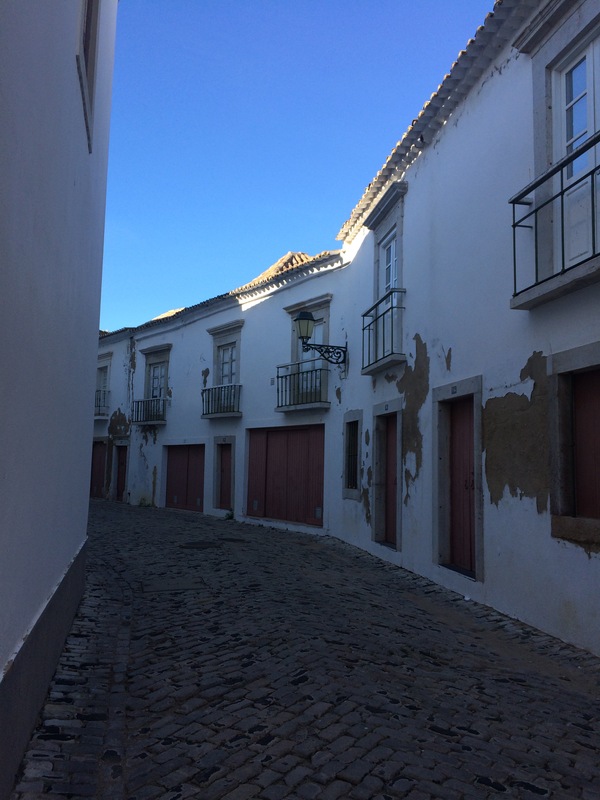 To keep it short (I could just write a whole post about only this topic): first of all portuguese streets are very narrow, that 2 cars do not fit next to each other. Second, there are too many one ways that it keeps you driving in a circle until you decide to break some rules! Third, the roads in general are fine except of those roundabouts. Way too many and on the most unlogical places! At one point I got nauseous because of these turns! I mean I know other countries using them frequently, such as Holland but Portugal is just over-doing things! Once we arrived in Lagos we were amazed by its beauty! 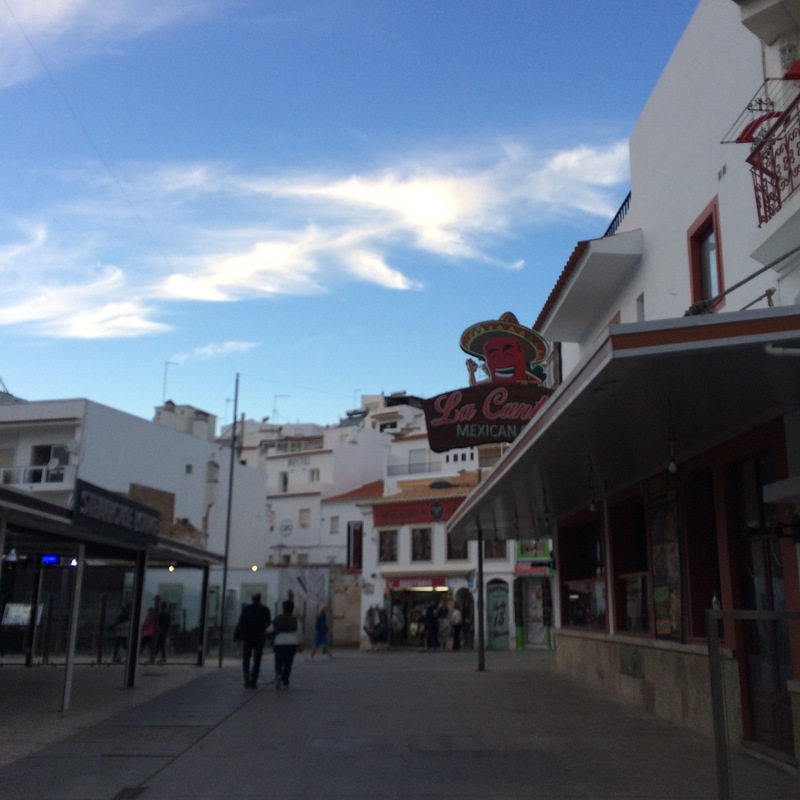 The old center is very cute but the most beautiful thing about that city are the beaches and how close that city is to the sea. Even though I went in November, we had 21 degrees, which made the trip just perfect but it was way too cold to go into the water. Some crazy Russian and Swiss people did take a short bath in this suuuuper cold water, which I found extremely brave. From the beach close to the center we drove down to some viewing points. It was basically breathtaking! 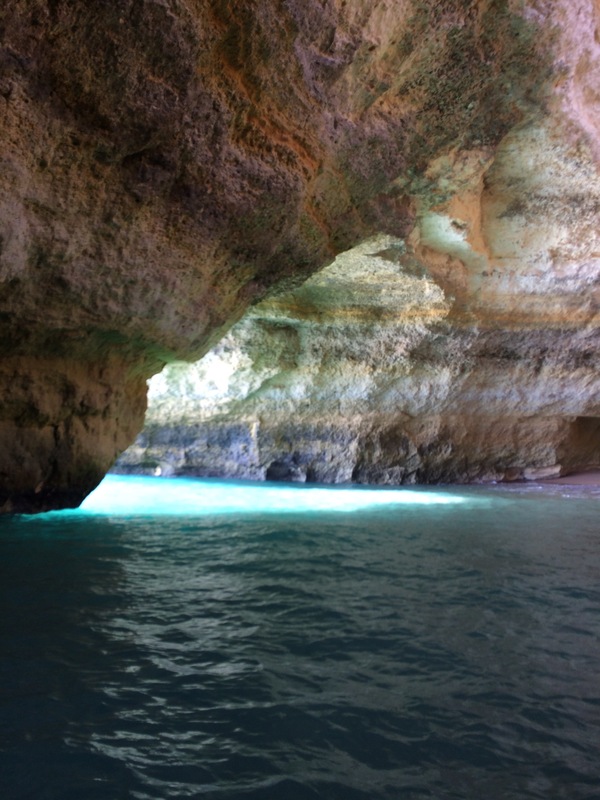 I got this tip from the girl working in the hostel and I had also seen many pictures of the cave Benagil on Instagram. We just had to visit those caves- so we did. 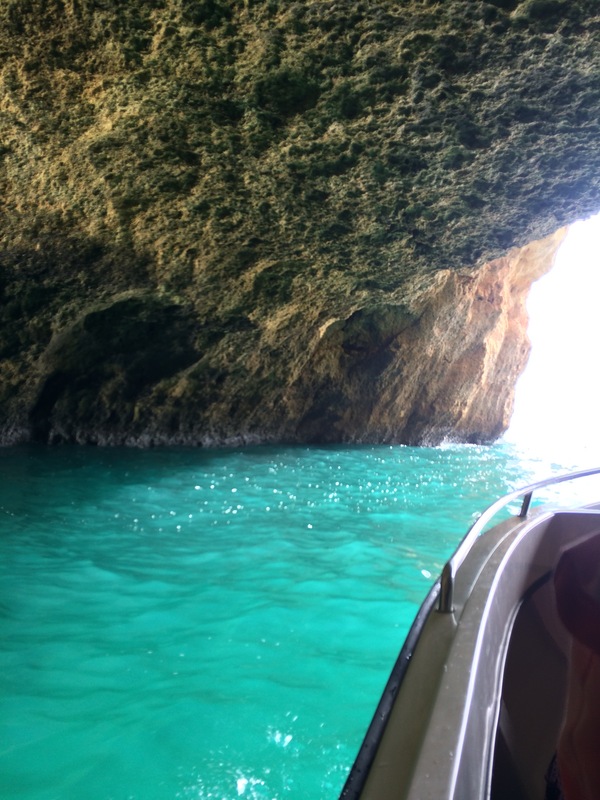 20 Euros for 20 caves in 1 hour on a boat with a crazy driver- amazing! 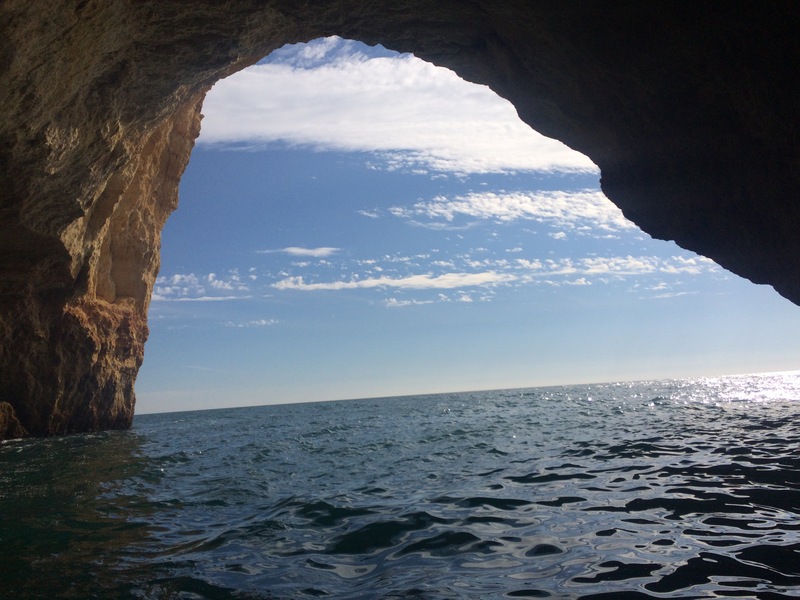 It is definitely a great experience- I would recommend everyone visiting the Algarve. 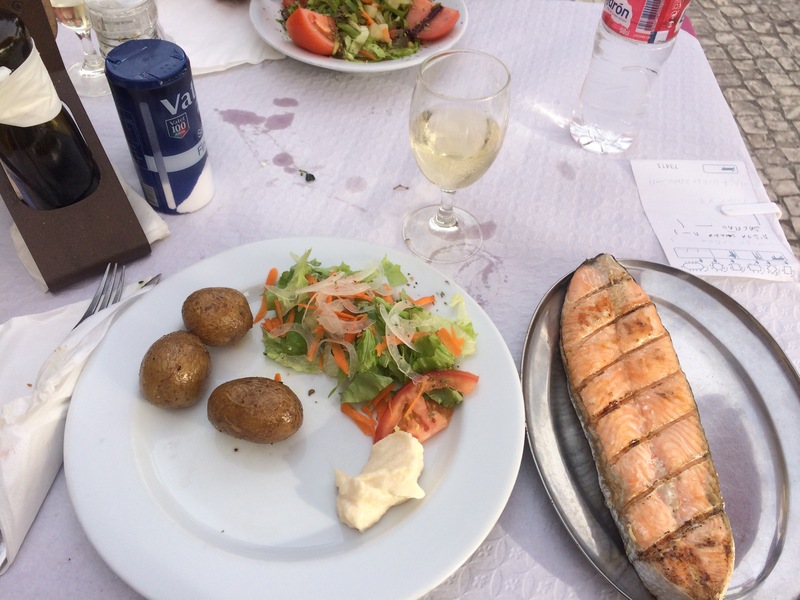 After the cave tour I would definitely recommend this restaurant called LITORAL! Please get the white wine there and also try the garlic mushrooms and grilled cottage cheese with sweet pumpkin!! 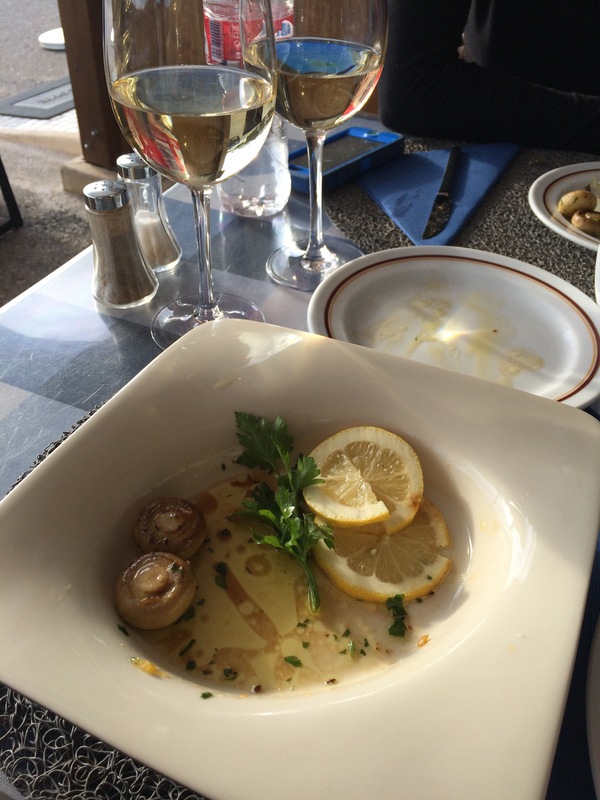 The white wine was actually the best white wine I ever had (and I love drinking white wine a lot). I do not know what to think about this city! 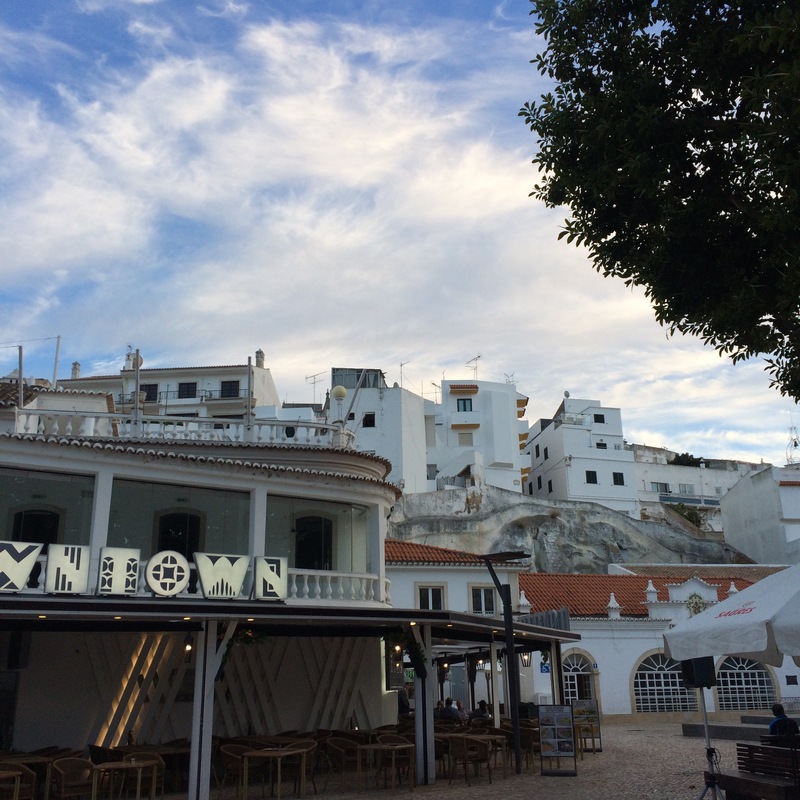 While trying to explain our feelings about albufeira, there were several words mentioned which describes this town a bit: Las Vegas, carnival, weird, lively. It is a crazy mix of beautiful buildings, rocky views, the beach in front of it and all those way too colorful Las Vegas style boards, cocktails bars and clubs! I guess in this off season it just looked a bit stupid and empty but I can imagine this place being extremely busy and full of energy in summer! If you have a sugar low or you basically are romantically in love with Nutella, go and find Sapori di Gelato! 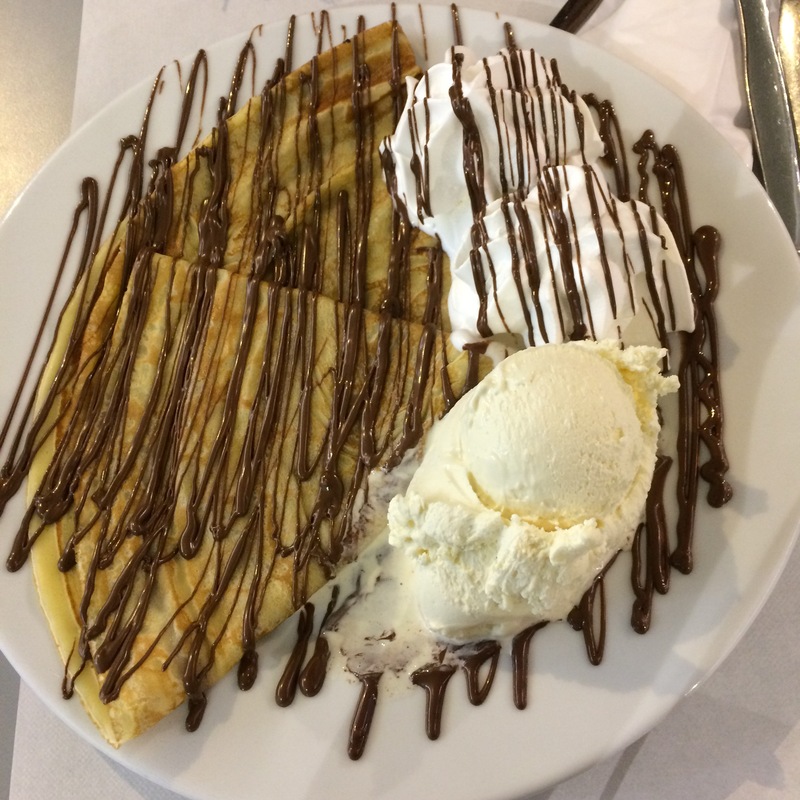 Lovely service, great crepes and yummy ice cream- and Nutella!! 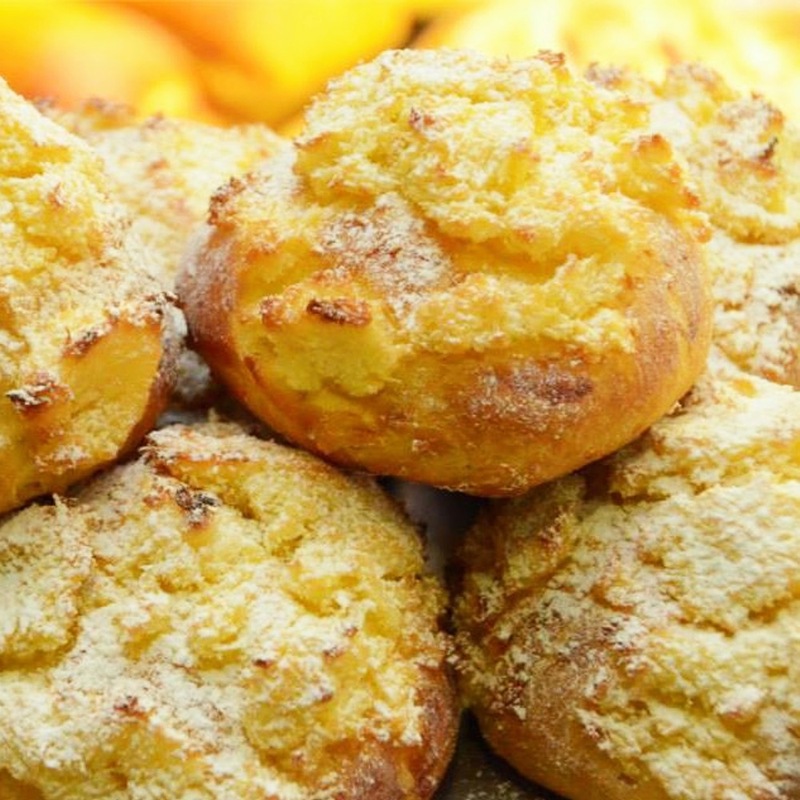 TIPP: talking about food… if you find yourself beim really hungry and you want to try something typically portuguese get some pão de deus(‘bread of god’)! This is a very delicious sweet bread made with coconut.